If you’ve attend a home show in recent years, you have undoubtedly seen a zero-clearance linear-style shower drain (probably a few). This is especially true if you are mindful, too, of trends towards universal design and/or aging in place. Yep … sure; you are nodding your head. But maybe still, you’ve wondered what it takes to, well, put one in. Take for example a standard traditional, man I lose a lot of hair, tub/shower drain. I mean – how would you go about converting something like that to a sleek contemporary and zero clearance inline drain? I had wondered myself. Luckily for me, I’m friends with Josef Erlebach. (I reconnected with him during the 2011 Remodeling Show.) 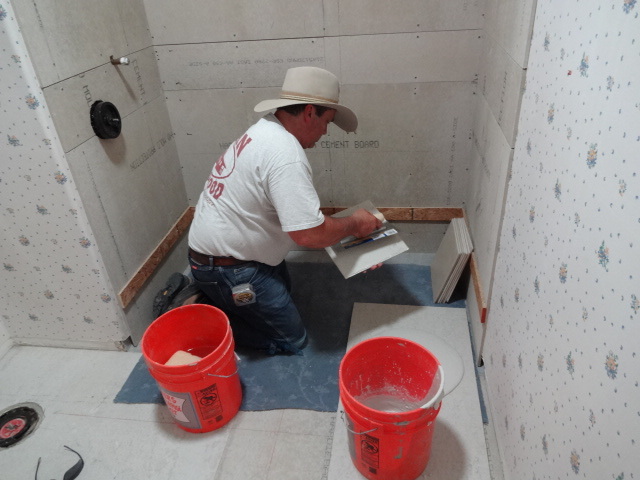 A one time tile pro, he is currently serving as a VP @ Quick Drain USA. Josef provided the installation notes here and pics for this post. It covers a recent job utilizing the company’s linear drain model – PLD57 (on Amazon) – installed in a concrete slab. Contractor Gary Jewel installed it for an aging client in Colorado. 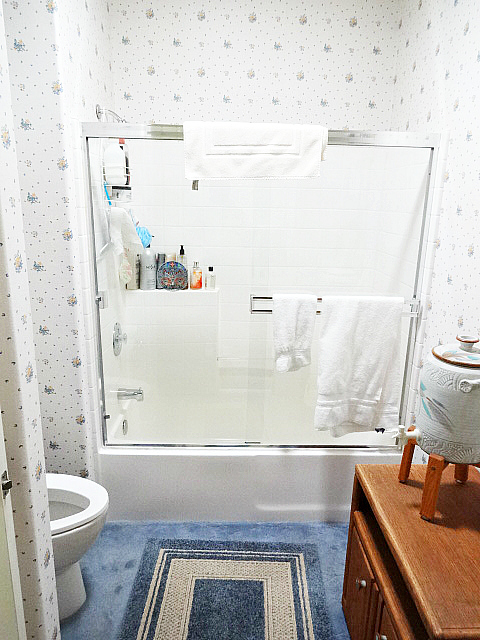 On deciding to stay in her home longer, she knew she needed easier access into her shower. Josef pointed out that the job itself was not without its challenges, least of which was that wallpaper in this bath. It was recently installed and could not be damaged. Those things said, this first floor bath sat on a concrete slab. 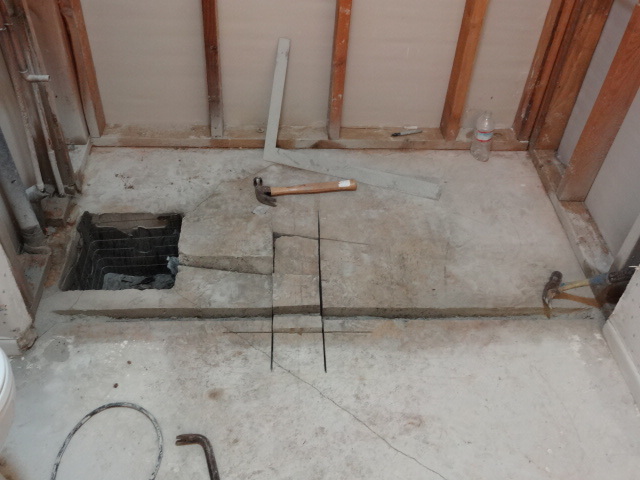 Because of that, Gary knew that recessing a traditional shower pan into the subfloor would not be possible. 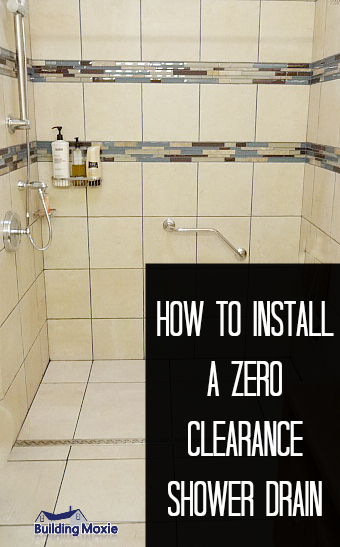 In this case, the true zero entry shower, on a flat floor, was a perfect option. 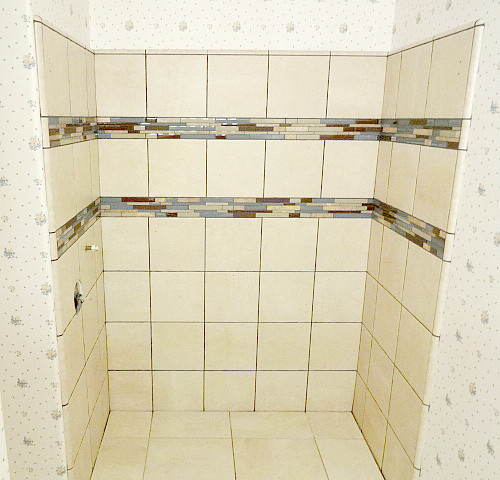 The custom shower conversion depicted below took 5 days and cost of $3500. 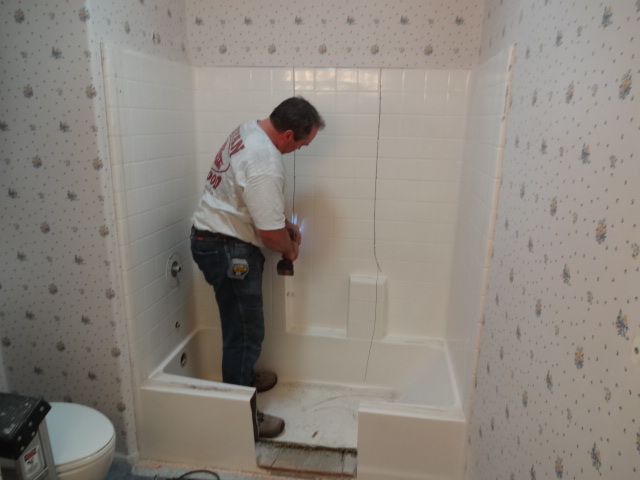 Pictured below, this Acrylic/Fiberglas tub surround will be removed with the tub. 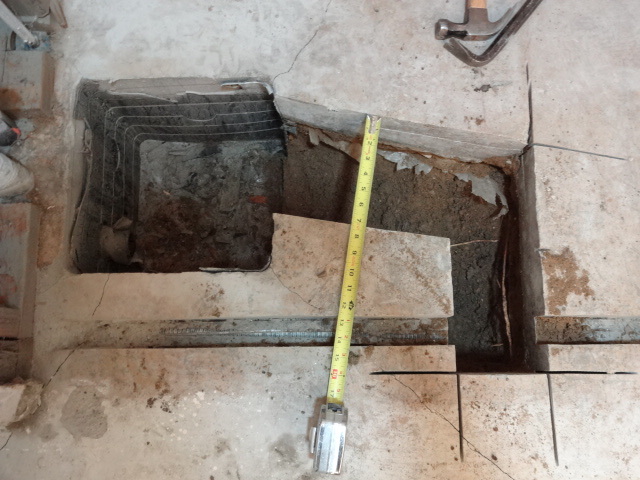 The slab underneath will be cut and removed only in places where the new drain and waste line will be placed. 1.) The tub and walls are removed. Then, the concrete is cut for a new waste outlet. The existing drain is removed. 2.) The zero clearance shower drain is installed on top of a shower pan liner. 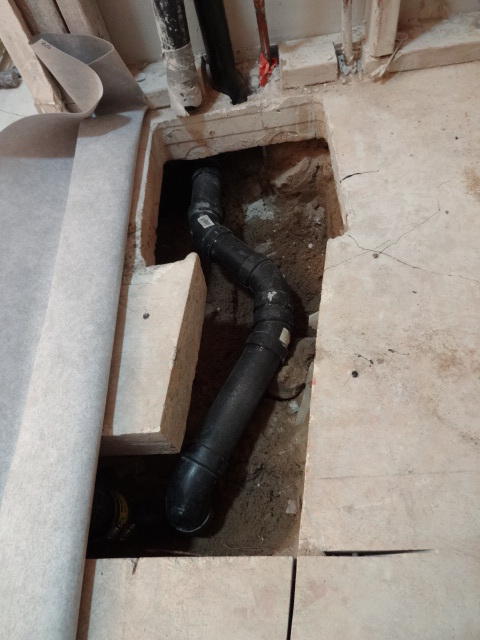 In the picture below, the shower pan liner is folded back while new plumbing connections are made. 3.) 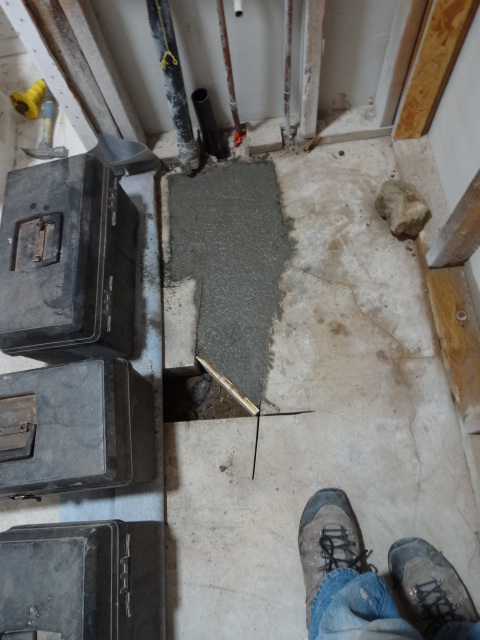 Once plumbing passes inspection, the concrete is patched. 4.) 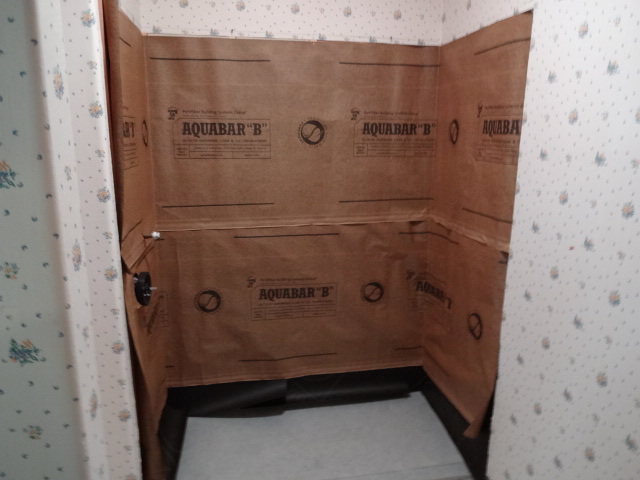 The shower pan liner is set on a slight slope. 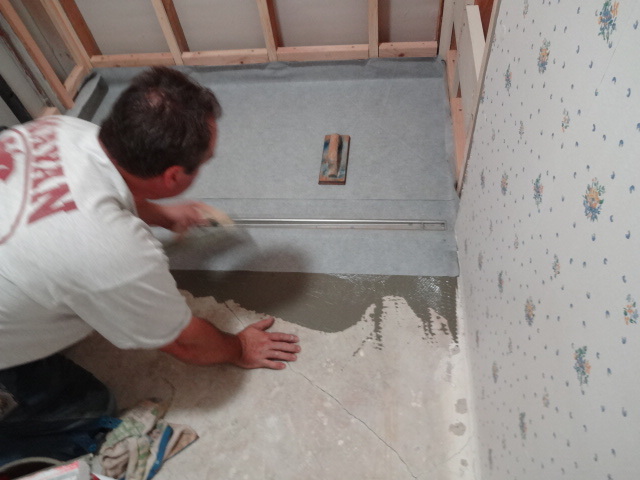 It is adhered to the subfloor using thin set mortar. 5.) Vapor barrier and an additional waterproofing membrane is installed on walls. It laps the shower pan membrane. 6.) Tile is set starting with the walls. 7.) 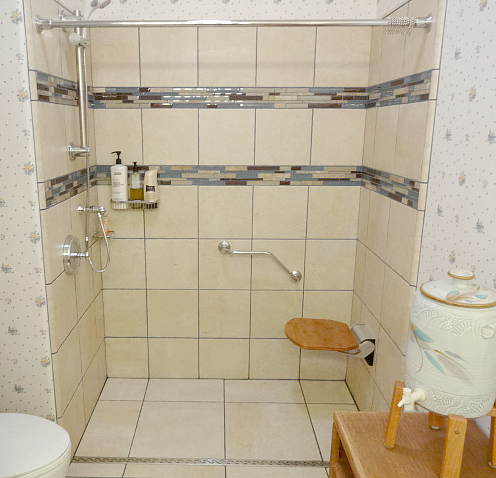 The shower floor tile is a simple continuation of the bath floor. Cheers to Gary Jewel and company for make it look so easy. 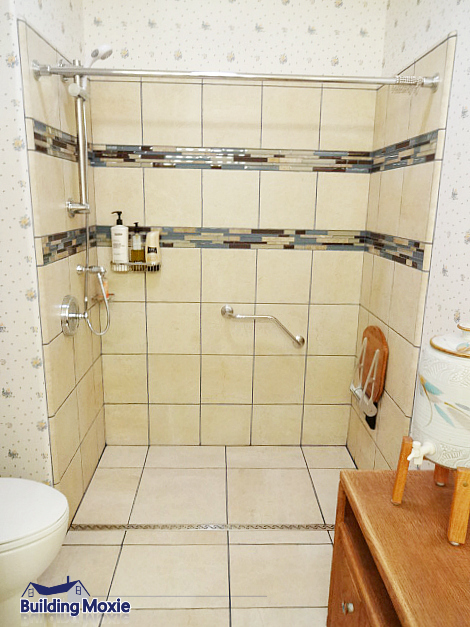 For more adventures in bathroom remodeling, see our top level category called, well, Bathrooms. For more on installing various types of shower drains, here’s an article from The Spruce – How to Install a Shower Drain. Great instructions, but link to their website is not working. Can you update so I can check them out? 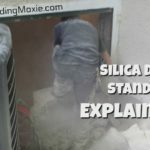 How did they make it slip resistance, porcelain and ceramic both have very slick surfaces and cannot be etched easily to provide traction. very good point and an important consideration in wet locations. wouldn’t say all porcelain & ceramic are slick – glazing and texture can come into play. Contributed piece and I am not certain if the contributor took slip resistance into account. thanks for the comment. jb @BuildingMoxie. Hi, I am looking at possibly doing a 0 clearance shower for a client but last time a plumber looked as this and I googled instructions, it seemed we still needed too much of a slope. Is it now just because of the linear drains that the slope does not have to be so much – especially as not going to a centre drain?